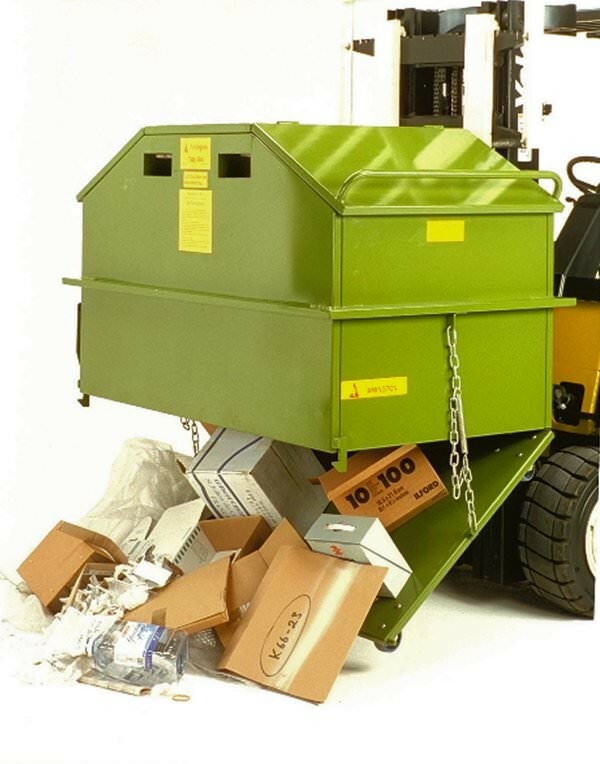 With two opening doors, the Tidy Bin is ideal for use in the warehouse or factory for collecting light waste. 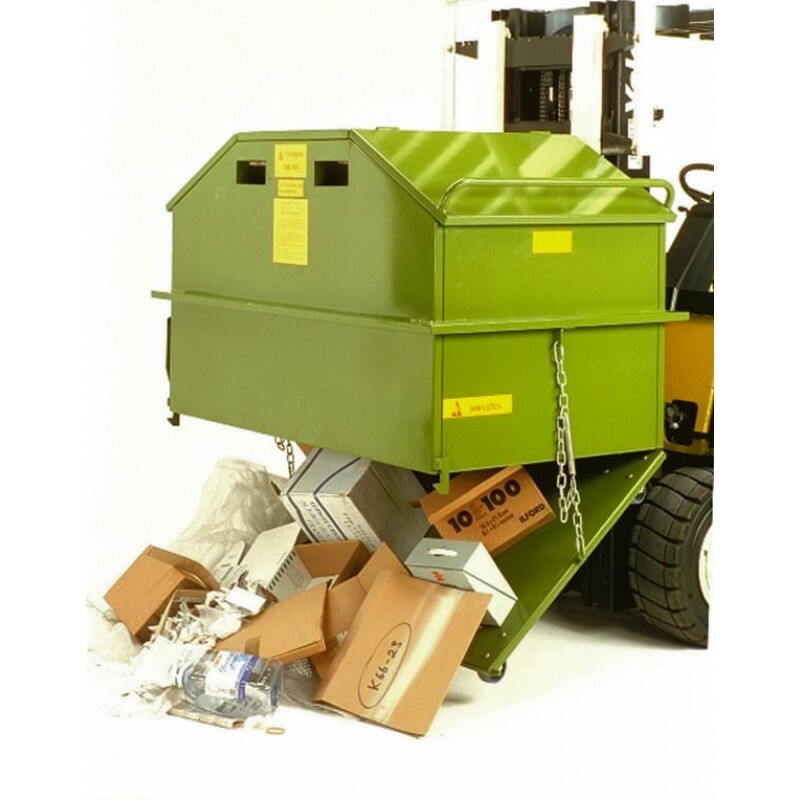 A drop bottom base with self closing latches allows the bins to be completely filled whilst being emptied from below. Fork pockets are situated on the top of the Tidy Bin to enable a completely clear exit of the waste. For manoeuvrability the Tidy Bin comes supplied with heavy duty castors for speedy and efficient waste removal. The Tidy Bin comes in a standard Safety Yellow or Grass Green gloss paint on an anti-corrosive primer base.